« Don’t Miss Oregon’s Astoria Sunday Market! Get ready for parades on land and sea, concerts, fireworks, local foods and brews, entertainment, and the Regatta Sailboat Races, of course! 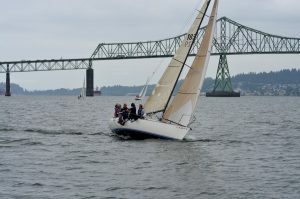 This year the Astoria Regatta’s theme is Bridge to Everywhere, celebrating the 50th anniversary of the opening of the Astoria–Megler Bridge, spanning the Columbia River between Oregon and Washington. Be sure to make your reservations to arrive by Friday, August 12, 2016. After being welcomed to the B&B, your Regatta weekend can begin with Friday’s Regatta in the Park Concert at Warrenton City Park. Saturday morning, you can linger at the B&B after savoring Judith’s Pacific Northwest cuisine for breakfast, since you’re less than a block away from the route of the Grand Land Parade. It’s the oldest of its kind west of the Rocky Mountains. After the Parade passes you by, it’s an easy stroll to Regatta Square, official headquarters of the Regatta, on your way to watch the afternoon’s sailboat races. You may not be hungry after your multi-course breakfast, but the Square’s BBQ and local brews in the Beer Garden are likely to tempt you while you enjoy the music and performances. You can’t come to the Regatta without watching the Astoria Yacht Club’s Sailboat Races. On Saturday, they will be east of the Megler bridge, just blocks from your B&B. Then enjoy a stroll along the Astoria Riverwalk while you wait for high tide and the Highwater Boat Parade as the evening begins, and end your day with the Fireworks Show over the river. Sunday, your morning is free to explore the Sunday Market, where Steel Wool, a folk rock band, will be entertaining on the music stage, take a ride on the Riverfront Trolley, or visit another of Astoria’s many attractions before the Regatta Sailboat Races resume west of the bridge in the afternoon. The Regatta closes with a Pops Concert presented by the Columbia River Symphony. Staying at Clementine’s Bed and Breakfast gives you the perfect location to enjoy the Regatta, just blocks away from these Saturday activities, so be sure to make your reservations early for this annual event! 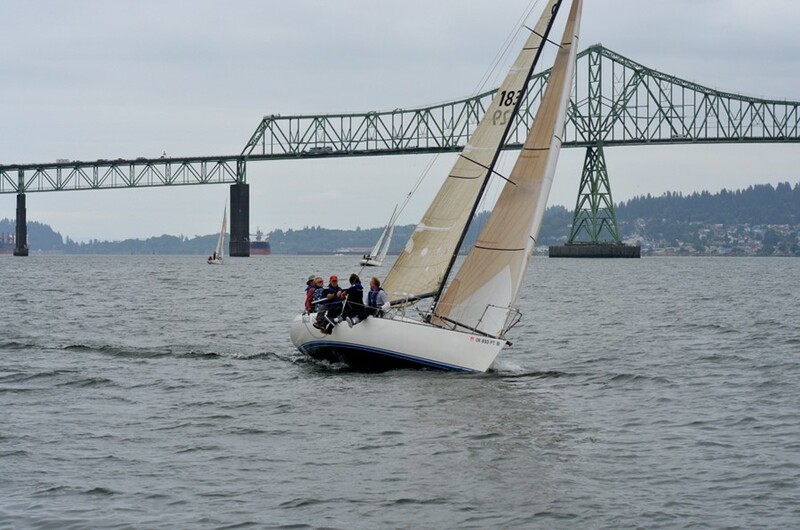 For a complete schedule of 2016 events and their locations, visit the Astoria Regatta’s website. This entry was posted on Thursday, July 14th, 2016 at 1:55 pm and is filed under Clementine's Bed & Breakfast News. You can follow any responses to this entry through the RSS 2.0 feed. Both comments and pings are currently closed.